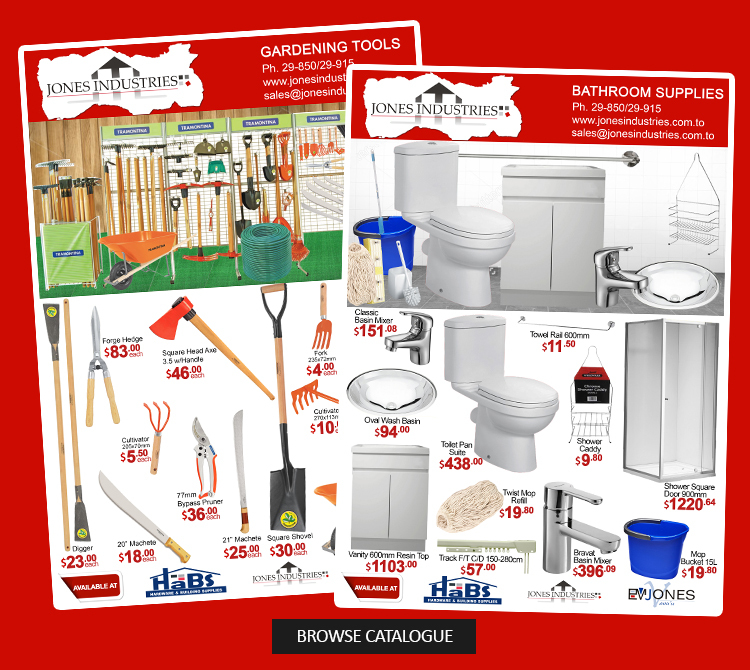 At JONES INDUSTRIES, you’ll find a comprehensive selection of plumbing, electrical, and hardware tools and supplies. All of the trusted names in hand tools – Tramontina, Supercraft, Fuller and more. Just come in with a list of everything you need and we will help you to get the job done. We pride ourselves on supplying quality products and materials that customers can trust and we can support. Copyright 2017 Jones Industries. All Rights Reserved.